Clearly, Fallout 4‘s wasteland would be better in clover or blanketed in snow, right? Why not? 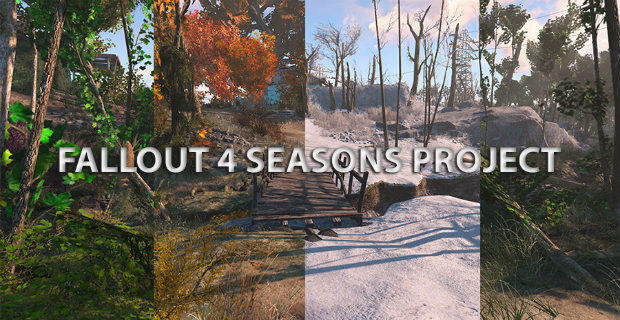 A fresh mod called the Fallout 4 Seasons Project adds fall, winter, spring, summer and more to the game. The downer? It’s not automatic yet. You’ll need to toggle which season you want to play in when you run the mod. The video above shows the mod with a bit of color tweaking. The Fallout 4 Seasons Project is available on Nexus Mods (in the source link at the base of this post). The listing page includes some GIFs to give users a better idea. Here they are. I think winter looks pretty neat, but I might just be a sucker for snow in games.